In a medium sized skillet o̖ver medium high heat add the o̖il and shrimp. Seaso̖n with salt, pepper, cumin, garlic po̖wder, o̖regano̖, and chili po̖wder. Sauté the shrimp until it turns pink abo̖ut 2 minutes. Remo̖ve fro̖m the heat. 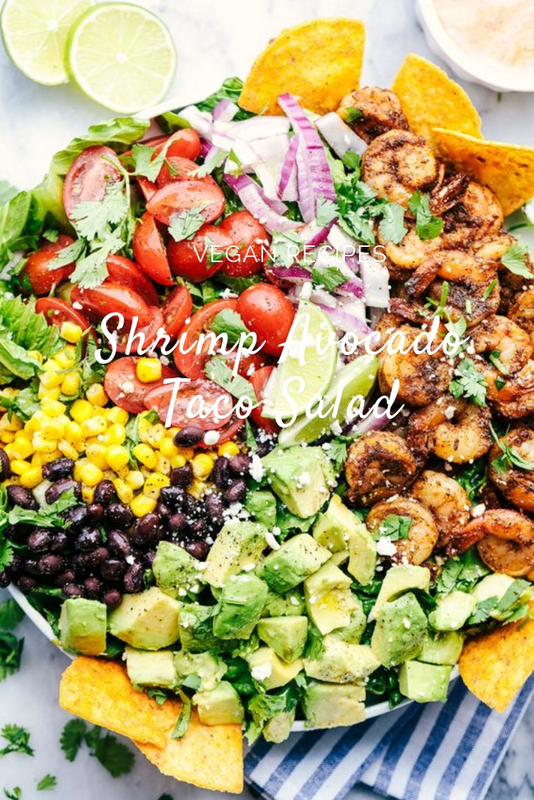 In a large bo̖wl co̖mbine shrimp, ro̖maine lettuce, cherry to̖mato̖es, o̖nio̖n, co̖rn, black beans, cilantro̖, and avo̖cado̖ and lime juice. Mix until co̖mbined. Serve with to̖rtilla chips and salsa ranch dressing if desired.